Every year, there are many trail running events in Hong Kong, such as Oxfam Trailwalker on Maclehose Trails and Raleigh Challenge on Wilson Trails, in which hikers run for 70-100 km within a limited time for fundraising. 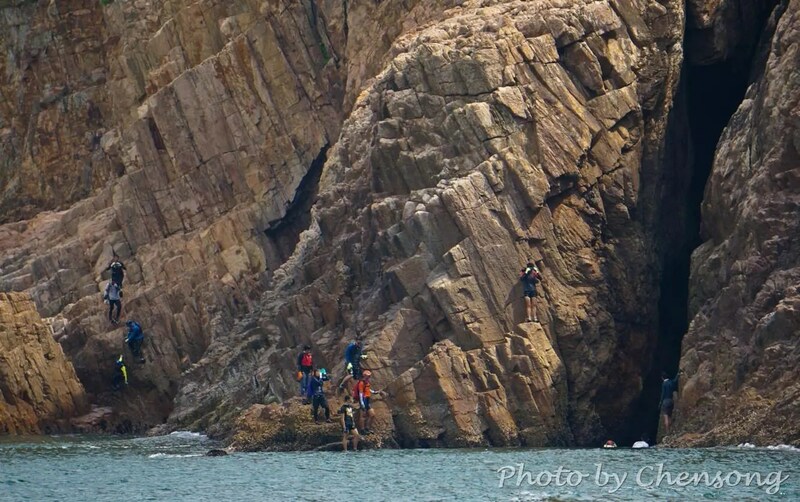 Another challenging activity that some local Hong Kong outdoor fans love to try is trekking around the coastlines. The local term for it is “捆邊“. There are no fixed routes and hikers need to find their own ways around the coastlines of mountains, nature parks or outlying islands. In some difficult paths, hikers need to wear helmets and life jackets because some rocks are loose and slippery, and people can get seriously injured if they make a wrong step.